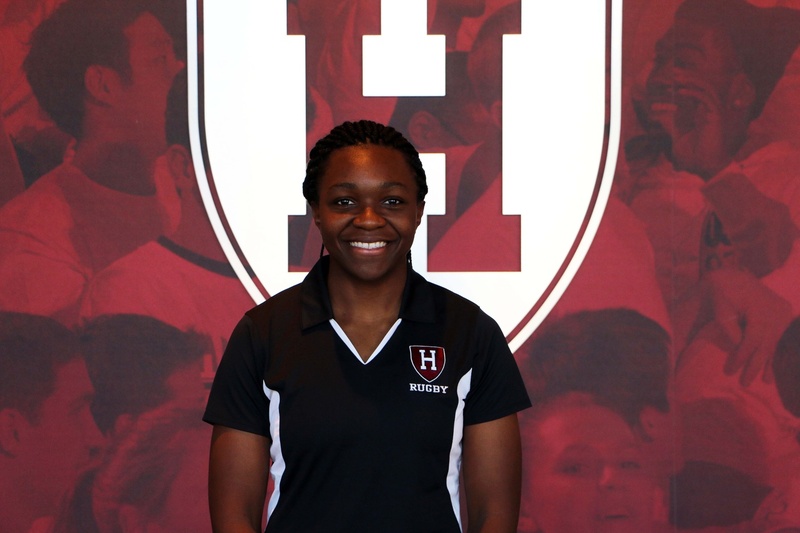 Recent alum Cheta Emba '15 is part of the USA's women's rugby team, flying to Rio with the squad as an alternate. The first ever opportunity for women’s rugby to be represented on the Olympic stage will include a Harvard graduate. Cheta Emba ’15 made the trip down to Rio with the USA Rugby 7s team to try and make history as the first ever women’s team to be awarded a gold medal. At Harvard Emba found an unlikely tract to find her way onto the women’s rugby team. Entering her freshman year as a member of the women’s soccer team, Emba played goalie for the first two years of her collegiate athletic career. This was because for those years Radcliffe rugby belonged only on the club sports level, becoming the 42nd Crimson team to be recognized by the NCAA in the 2013-2014 season. Emba made the transition from the soccer field to the rugby pitch her junior year and quickly became one of the team’s most valuable players. As one of the trailblazers for the Radcliffe rugby program as a varsity sport, the inaugural season saw the team go 6-16-1 and mirroring its record again the following year. Emba was quickly recognized for her performance on the pitch when she was selected to the US National Team for the Super Series in Canada during her senior year. The Crimson program continued to draw attention from national media as its 7’s team made it to the championship game of their own tournament in the 2014-2015 season, coming up against four-time defending 7’s national champions Norwich on March 28. After graduation, Emba joined USA Rugby on the Women’s Eagles team, and attended multiple camps at the Olympic Training Center in addition to competing with the team. She will serve as a travel reserve for the national team as it makes its way to Rio, being one of 14 athletes chosen to play for the United States in the first women’s Rugby 7’s competition in Olympic history. The United States kicked off its Olympic push for the first ever gold medal in women’s rugby with a game Saturday against Fiji, falling 12-7. Emba did not contribute to the game or see the field but did make the trip to Rio with the Eagles. –Staff writer Ariel Smolik-Valles can be reached at ariel.smolik-valles@thecrimson.com. ​After breaking yet another record, the Harvard women’s rugby team is set to play Brown again. This time, the Ivy League title is at stake. 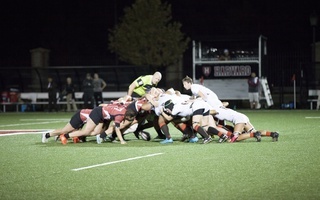 Shutting out their first four opponents in the Harvard hosted tournament, the women's rugby team fell short in the championship match up against Quinnipiac.